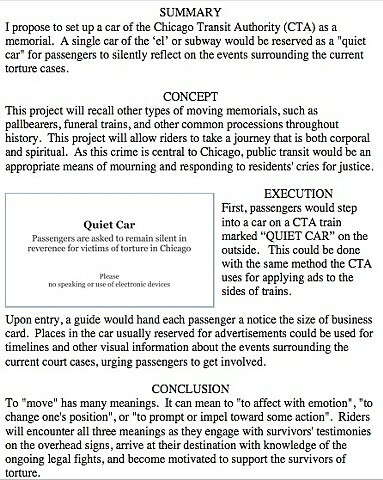 Working with members of The Chicago Torture Justice Memorials, I proposed a project to help bring awareness and peace to victims of torture in Chicago. 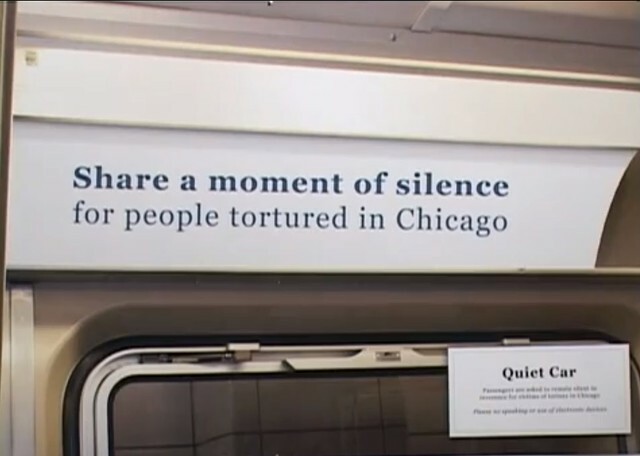 Artists listened to survivors of torture by police in Chicago and created proposals for memorials. 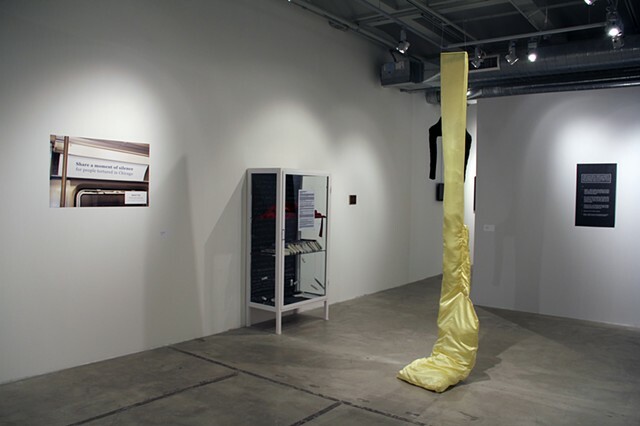 These artworks and proposals were featured in the Sullivan Gallery in downtown Chicago. You can watch coverage of the show on CAN TV.